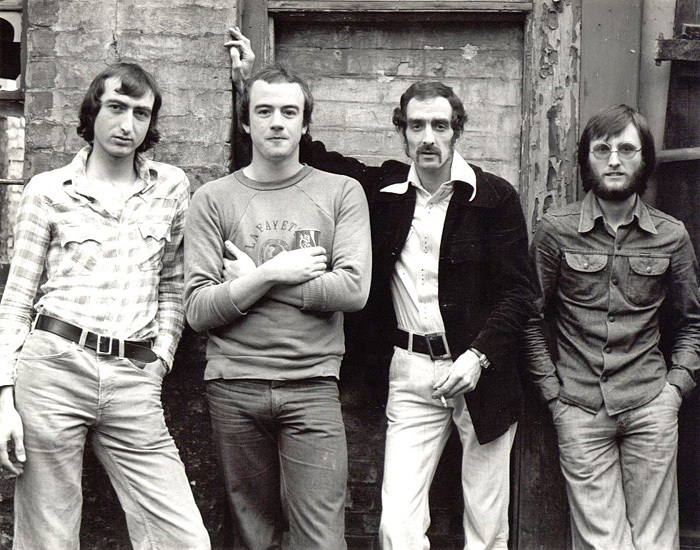 During my exam years, I got together with another lad called Ron who shared similar interests, and together we formed a very basic band, calling ourselves Sounds Unlimited, and playing mainly old Shadows music and similar instrumental pieces. Sadly, the name was wildly inaccurate as the sounds we produced were in truth very limited. I played Lead Guitar (yeah – right!) and Ron played Rhythm, but without the benefit of either Bass or Drums to give the sound some depth, it all came across very weak and empty. Even so, the tunes were catchy enough and we did a few pocket-money gigs at local working men’s clubs in the area where the audiences seemed to like our stuff. This encouraged us to continue. Before very long we both had full-time day jobs, but we still got together occasionally to jam. Meanwhile Ron (an excellent hairdresser who at the time owned a couple of salons in the Peterborough area), put a string of bands together one after another, playing folky stuff that I liked, but wasn’t too keen on playing. But I hung around, sometimes operating their slightly underpowered PA system for them, and did the occasional stint as a roadie for them too. 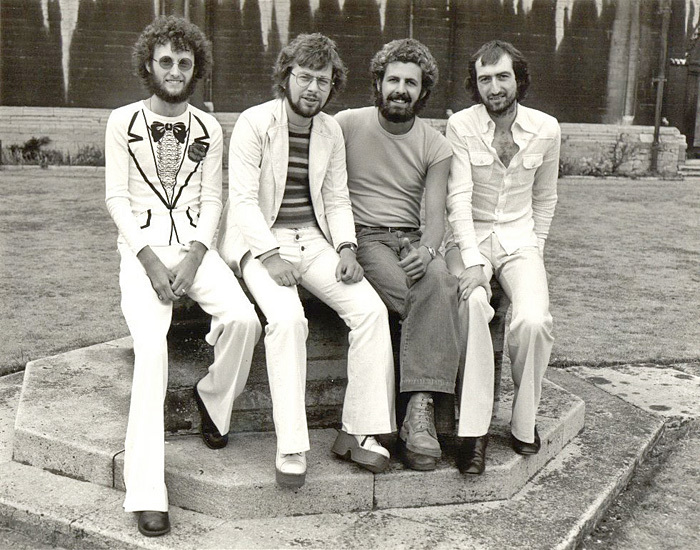 A crowd of us often went mob-handed to the local pubs & clubs where music was on the agenda, and Ron and his regulars had frequnt offers for gigs. Of course, these paid little more than beer-money. Soon though, Ron’s musical tastes had shifted toward Country Rock – something I had never heard much of before (not to be confused with Country & Western). Liking the sound, I became interested and was invited to join up again. By this time I had shifted to Bass Guitar, having realised that my skills were fairly lacking in the Lead department, and we really needed a Bass player to give the sound some depth and power. This was around the time of Jimi Hendrix (and The Experience), Carlos Santana, and Brian May (of Queen fame) et-al. Man could those guys ever play! And so, to the world, a new band was born – Roads! We put together a fairly respectable repertoire of several dozen songs, borrowed mainly from American bands like The Eagles, Crosby Stills & Nash, The Allman Brothers, The Doobie Brothers, Dobie Gray, to name but a lot! Ron also wrote the odd song or three, as did Brian (not me – the other one!). 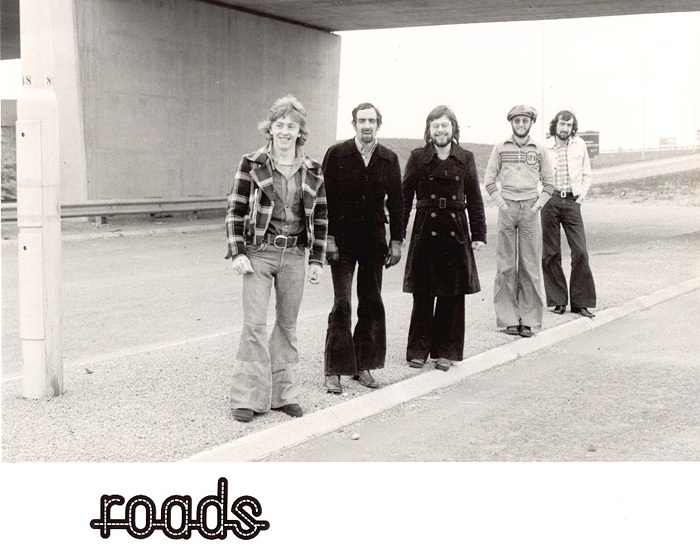 We also played some Soul stuff in later years, but Roads was essentially a Country Rock band. Concentrating on vocal harmonies, and with the help of Steve Allen (a really helpful local agent) and a healthy local following, we found ourselves in regular demand and we were out working most weekends. I was heavily into electronics, and with regular gigs now coming in, I decided to build a proper public address system for the band (we could never afford to buy one). Although I say it myself, this was a fairly impressive piece of kit (a 250 Watt RMS Stereo PA Amp, with four 120 Watt 2×12″ speaker stacks), which was way above what most other bands of our class were using at the time. And this was just for the vocals – Guitar and Bass amps were separate. Ron decided to splash out too, and bought a Transit van (standard group transport for the period) to carry all the gear around. Ron’s father-in-law, Lionel, was a keen and very capable photographer, and he offered to do some promotional shots for us. By this time Roads had become quite popular, with a fairly loyal, local following. 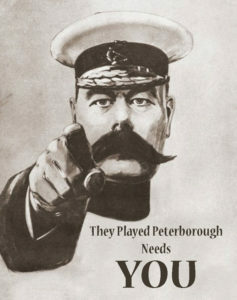 We were regulars at the Riverside Club in Stamford (Lincs.) and many of the pubs and clubs around the area booked us over and over again. It seemed we were always busy! The gigs didn’t pay very much (little more than expenses really) but it was all great fun. Anyway, I guess all good things must come to an end sooner or later…. More than just the odd few problems and grievances between band members meant that Ron, who had always been the driving force, and also owned the wheels! (no pun intended), got fed-up with the problems and decided to quit. I was still keen to keep going but the others didn’t seem to care. Inevitably, practice sessions became a rarity, offers of gigs dried up, and slowly we all drifted apart.